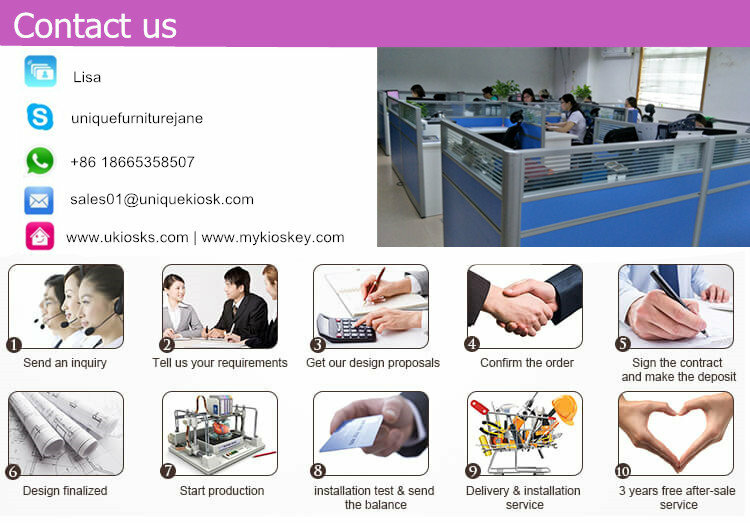 Warm welcome visit our page , this is Shenzhen Unique furniture ltd , we are a direct factory mainly do customized according to our client’s requirement. 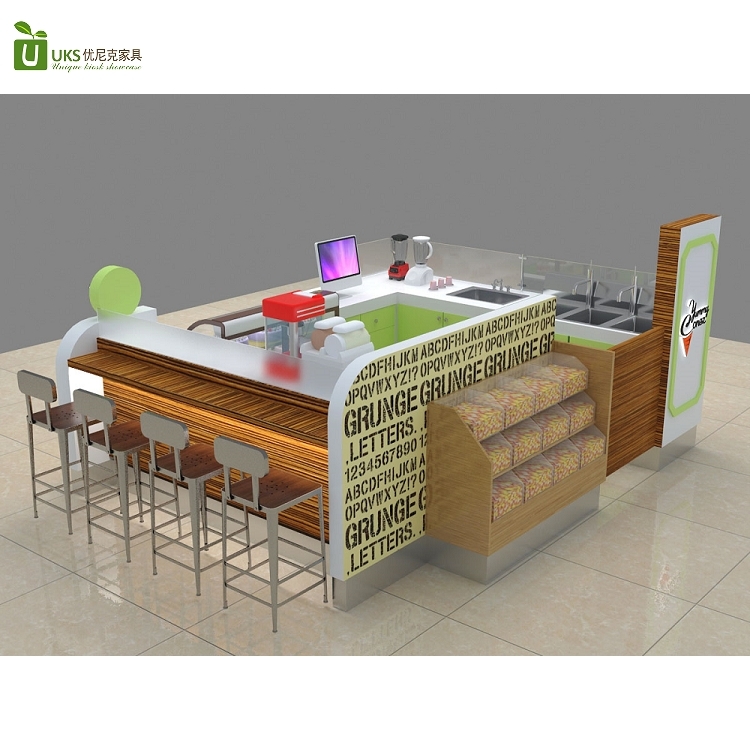 we have done lots of kiosk before, such as food kiosk, cosmetic kiosk, phone kiosk, jewelry kiosk, clothes display showcase , shoes store , salon furniture etc , all of them are customized according to our client’s requirement. 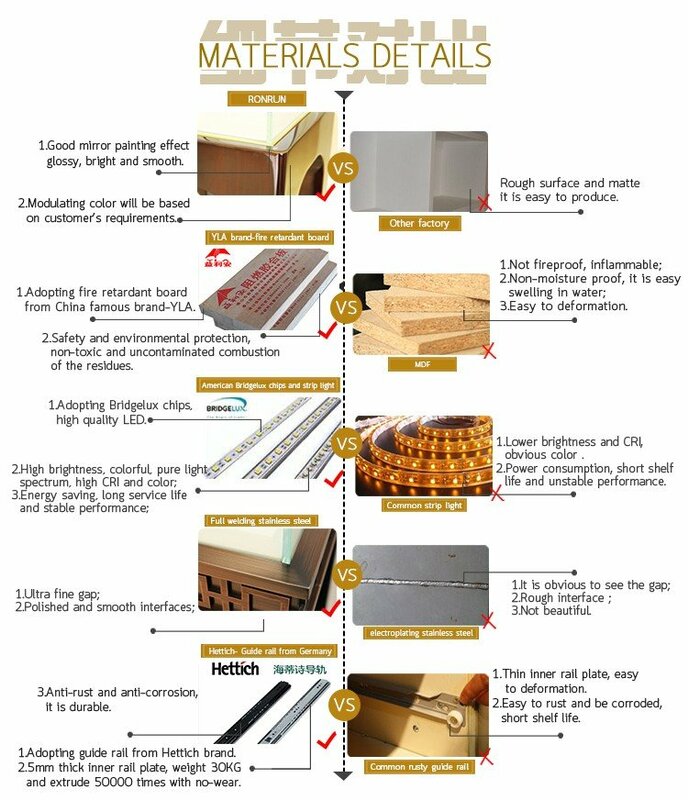 Material : plywood, fire proof plate . 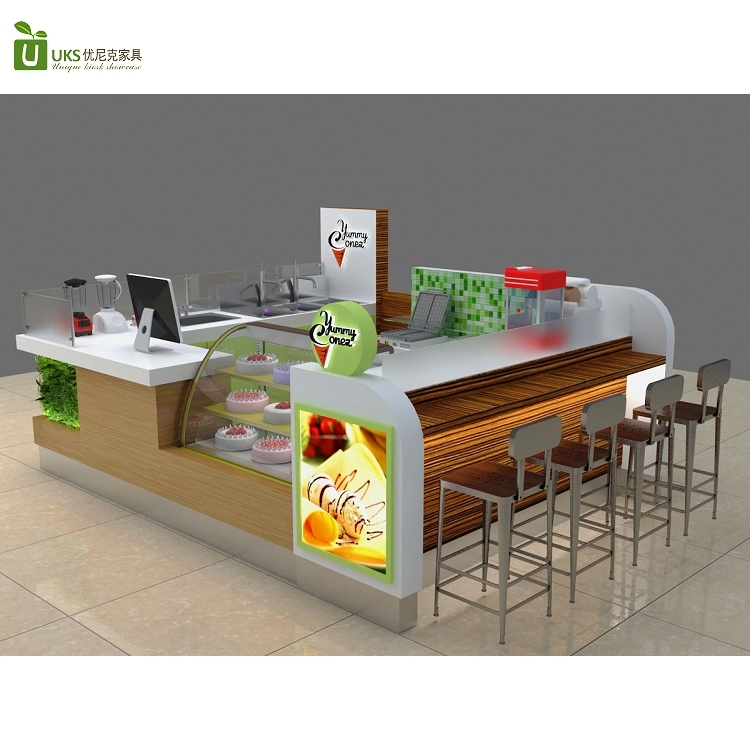 As you see this ice cream kiosk, size about is 3m length by 3m width mainly material is plywood, surface is fire proof plate finished , white man made stone worktop , wooden cabinet , solid wood bar counter , stainless steel skirting , all of anything about this kiosk can customized for you . 3. What material we will used on this kiosk ? 2 EPE Foam inner packed, all around the product. 4 10mm MDF with 18mm plywood frame cartons. 5 Paint the marks on wooden carton. 6 All steps are designed for safe protection and long distance transportation. 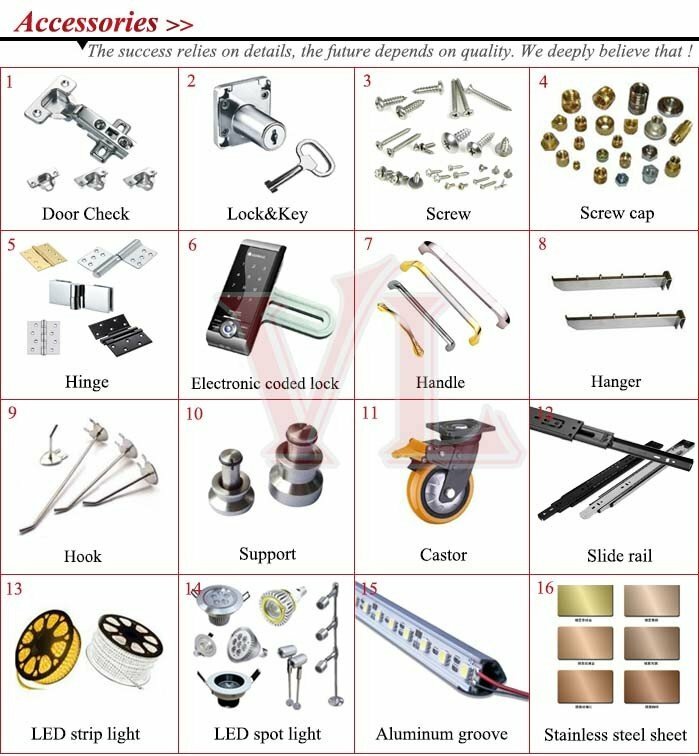 7 We will order shipment insurance for all order, the insurance is free. How to install this kiosk? 1.when you receive the goods, all showcase was packed in wooden box, so you need to open all wooden boxes. All wooden boxes were marked carton number. 2. We will provide one install instruction and one floor plan which marked number for every showcase. 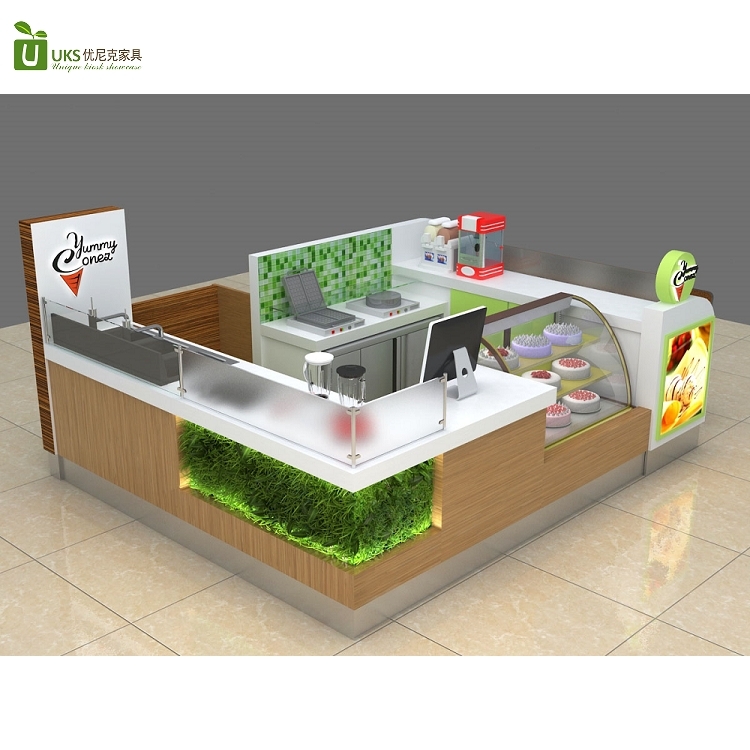 You put all showcase on your mall space or store or shop according to the floor plan. 3. Connecting electric wire according to the instruction. If you are still confuse about it , please contact us ,we will explain it to you patiently. 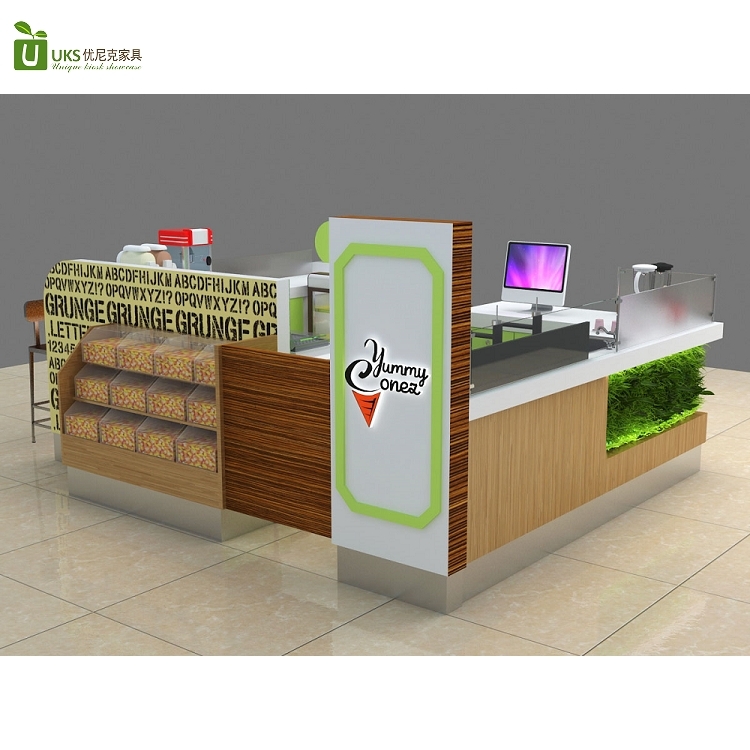 Thanks for your time and reading , if you need more info about this ice cream kiosk , pls feel free to contact us , thank you !